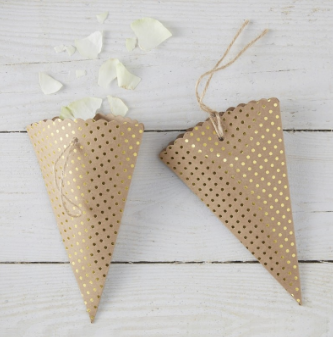 Use these confetti cones to hold your special confetti on the big day! These confetti cones are a gorgeous design, kraft card with cute gold foiled polka dot design, complete with scalloped edging. Each pack contains 10 x 10cm H confetti cones.